Revised proposals for the shape of parliamentary seats at the next general election have been published. The proposed constituency boundaries in England, Scotland and Wales have been drawn up on the basis the total number of MPs will be cut from 650 to 600. Parliament approved the principle of reducing the size of the Commons in 2011, intended as a cost-saving measure in the wake of the expenses scandal. But it is uncertain whether the Commons will end up backing the detailed plans. If they do so, the proposed new constituencies - recommended by independent bodies in England, Wales, Scotland and Northern Ireland - will take effect in 2022, the scheduled date of the next election. Do boundary changes exclude millions of voters? Will MPs vote to sack themselves? However, there are doubts whether MPs will agree to the plans, which would leave England with 32 fewer seats, Scotland six fewer, Wales 11 fewer and Northern Ireland - which will publish its revised plans at a later date - one less than at this summer's general election. Prime Minister Theresa May is reliant on the support of the Democratic Unionist Party (DUP) for getting legislation through the Commons after her failure to win a majority in June's snap election. The DUP opposed the last boundary review when it was put to a vote in 2013, while many Conservatives are thought to have reservations about the scope of the shake-up, which could lead to a scramble for seats as a host of constituencies are abolished. Liberal Democrat chief whip Alistair Carmichael urged the government to pull the plug on the process, claiming it would take a "miracle" for the plans to be approved by Parliament. "The DUP will not wear this review. Nor will many Tory backbenchers," he said. "The government should stop wasting public funds and bow to the inevitable." Constitution minister Chris Skidmore said changes were needed to ensure "fair and equal representation" by the next general election. "Without any boundary reforms, constituencies would be based on data that is over 20 years old. This would disregard significant changes in demographics, house building and migration," he said. As well as reducing the number of seats, the review aims to make constituencies more equal in size, in terms of their total number of voters. Under the blueprint published on Tuesday, all but a handful of constituencies - for which exemptions are being made because of their unique geographic characteristics - will have between 71,031 and 78,507 voters. The initial proposals published last year - which are based on the electoral register from December 2015 - have been significantly altered following a public consultation, in which thousands of responses were received. Sam Hartley, secretary to the Boundary Commission for England, urged the public to have their say again on the revised map before it was submitted to Parliament for its approval next September. "Based on what people have said to us, we have revised more than half of our initial proposals," he said. "The new map of the country we publish today is, we think, close to the best set of Parliamentary constituencies we can achieve, based on the rules to which we work and the evidence given to us by citizens." The Commons rejected the last set of boundary proposals in 2013 after the Lib Dems withdrew their support in the wake of the failure to agree with their Tory coalition partners on reforms to the House of Lords. As a result, the 2015 election was fought on the same boundaries as in 2010. This summer's snap poll, called at short notice by Mrs May, was also contested on the basis of the 2010 boundaries. If MPs reject the current proposals, the next election will be fought on demographic data based on the 2000 electoral register and will not take into account changes since then. Labour's Cat Smith said her party would work with other parties to ensure the boundary review went ahead in the interests of democracy, but said it had serious concerns about the current proposals. "To lose 50 MPs at a time we are repatriating powers from Brussels, as we leave the European Union, risks leaving the UK government struggling to keep up with the day-to-day requirements of legislation," she said. "They need to drop their unfair, undemocratic plans, as well as ensuring the review is based on the most up-to-date register and that there is appropriate flexibility to take into account community ties and geography." 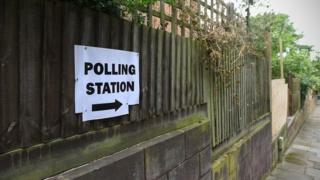 Reality Check: Do boundary changes exclude millions of voters?